Johnny Cinco shares a new 19-track tape, "John Popi 2," featuring Trouble, YFN Lucci, and more. 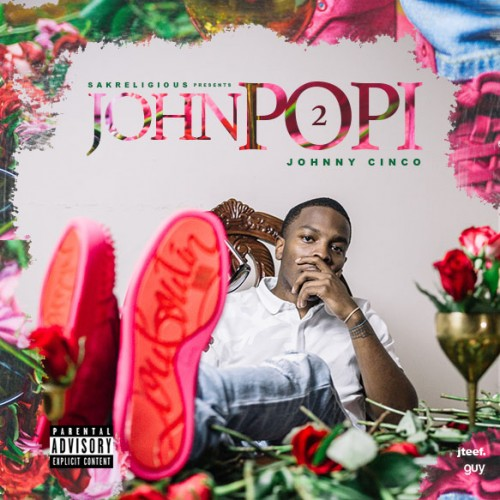 Following November's Same Time, Every Time EP, Johnny Cinco is back with his first project of 2017: John Popi 2. We can't wait to dig into these 19 new tracks, as Cinco has been making some of the most innovative trap in Atlanta. Expect free-flowing charisma and inventive lingo from Cinco, as well as immersive production from guys like Deko, OG Parker, and Y.I.B. There's a track with Trouble as well as two collabs with young hook killer YFN Lucci. John Popi 2 is brought to you by SakReligious and Guy ATL. Tell us your favorite tracks in the comments.